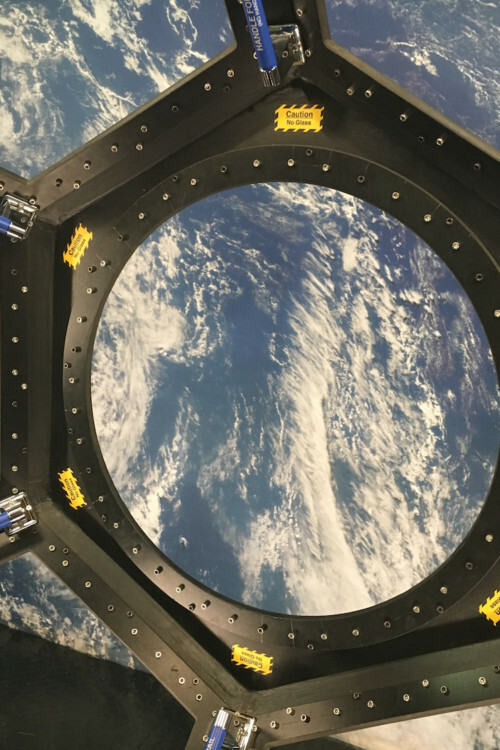 Channel your inner astronaut with a trip to Huntsville, Alabama, to discover deep space with NASA. Kids aren’t the only ones commanding a mission. You can sign the entire family up for Space Camp too. 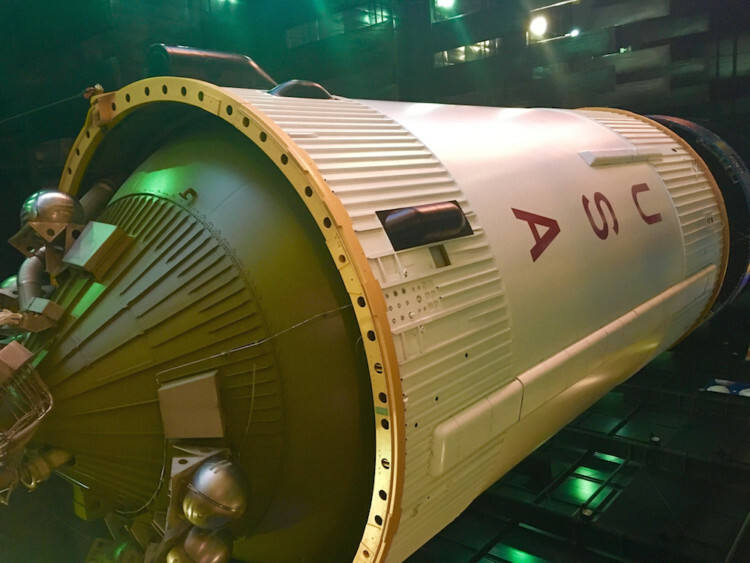 Standing in the shadow of the Saturn V, the largest rocket ever launched, the National Parks TravelingMom marveled at the newest space race, the mission to Mars. At the epicenter of NASA’s testing and development, quietly stands Huntsville, Alabama, as it did over 50 years ago when the mission was to the moon. As the mom of a fearless kid, I’m always looking for productive and challenging ways for him to explore. 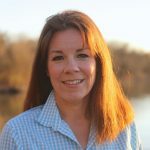 But finding a program that blends solid STEM principles (science, technology, engineering and mathematics) and hands-on learning with physically active elements is difficult. After exploring Space Camp recently, I found just that and more. Space Camp also offers the largest selection of space memorabilia and a glimpse into the mission to Mars with the Space Launch System (SLS). 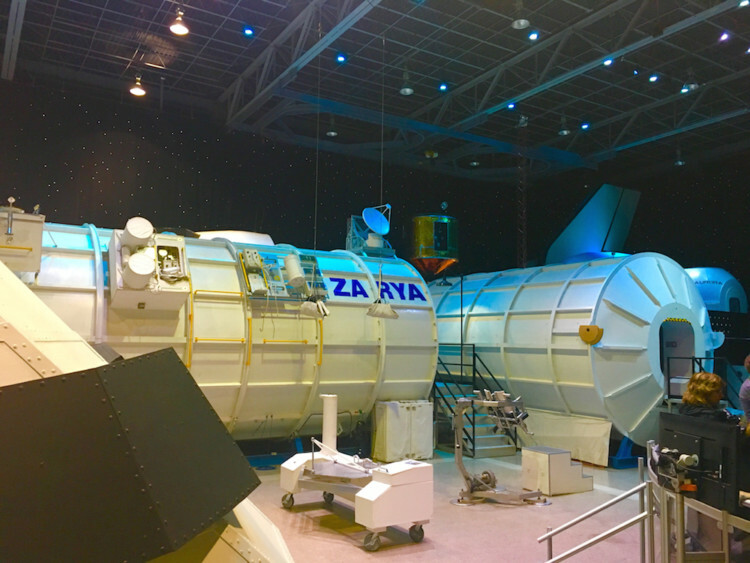 When it comes to space, NASA might top the list, but I found many more things to do in Huntsville. With programs for kids as young as 9 all the way to high-school seniors, Space Camp offers STEM-based camps in a variety of topics. Ranging from two-day introductory mini-camps to week-long summer resident camps, Space Camp tops kids’ list for things to do in Huntsville. The youngest space explorers (9 to 11) learn to command, navigate and contribute in a simulated space mission in Space Camp. As they work together, campers also learn what’s required to live and work in space. Older kids (12 to 14) use their STEM knowledge as campers at the Space Academy. Students learn the skills used by hardware engineers, mission controllers and astronauts with hands-on training. For students in the Advanced Space Academy (15 to 18), students use SCUBA-based microgravity orientation in advanced space missions. The oldest campers experience extended missions and rely on teamwork and engineering to accomplish mission goals. For robot-loving kids (9 to 11), this camp uses robotics to engineer solutions to real-world problems. Campers test their robots in air, land or sea challenges as a team in an end-of-week contest. For older students (12 to 14) interested in robots, the Robotics Academy focuses on teamwork, using advanced science, math and engineering concepts to solve air, land or sea challenges. Teams compete in a contest with real-world applications. Future aviators (9 to 11) use simulated yet realistic combat scenarios to teach the skills of current military pilots in Mach I camp. This camp also teaches survival skills at a man-made lake. For older students, (12 to 14) the Mach II aviation camp uses air-to-air combat simulations. With military-inspired training, aviation skills are expanded. In the Mach III aviation camp (15 to 18), campers use sophisticated tandem cockpit simulators to learn basic aerodynamics. For the final mission, campers recover intelligence or rescue a downed pilot. For families that share a love of space, try Space Camp for families. In the three-day program, families work together to learn about rocket construction and use training simulators. Sign up for an adults-only Space Camp with convenient three or four-day programs. Space Academy for Educators offers professional development for teachers too. 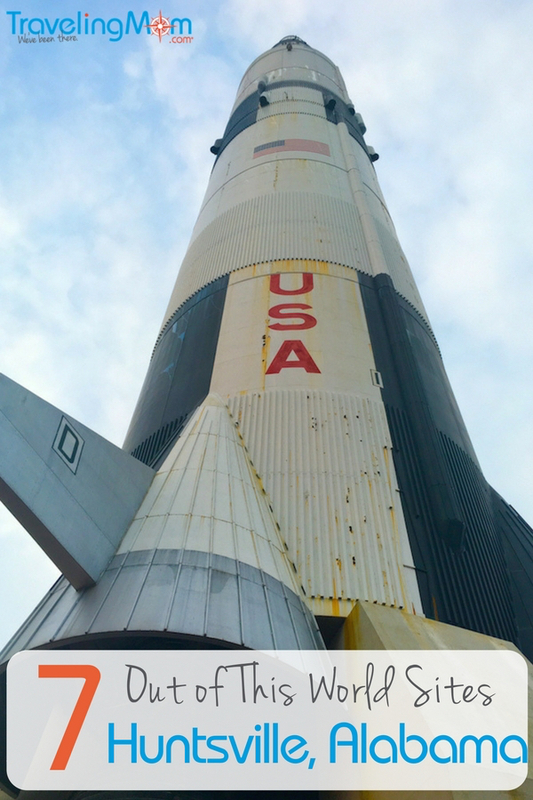 A must for every visitor to Huntsville, the U.S. Space and Rocket Center features a sprawling complex featuring the largest collection of space memorabilia and rockets in the world. 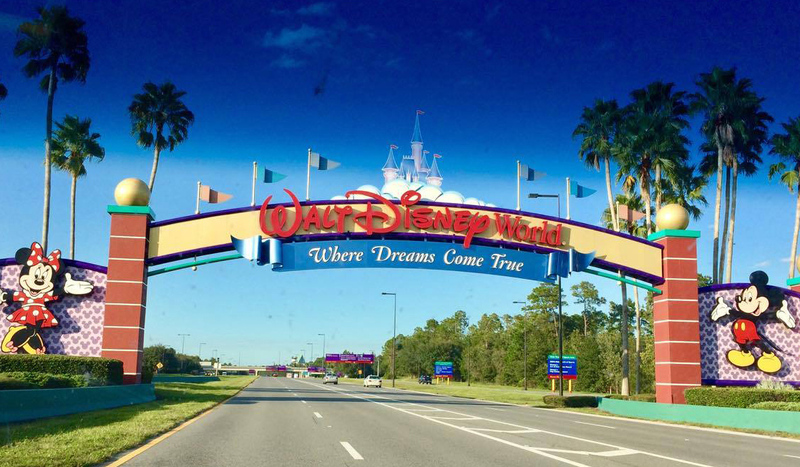 A day’s worth of learning and discovery awaits along with an IMAX theater and glimpse into Space Camp. As the Official Visitor Center of NASA’s Marshall Space Flight Center and a Smithsonian affiliate, the U.S. Space and Rocket Center features Rocket Park with 27 missiles and rockets that grew into the NASA program. I also found the Space Shuttle Pathfinder, a test simulator used during the Space Shuttle Program in the Shuttle Park. 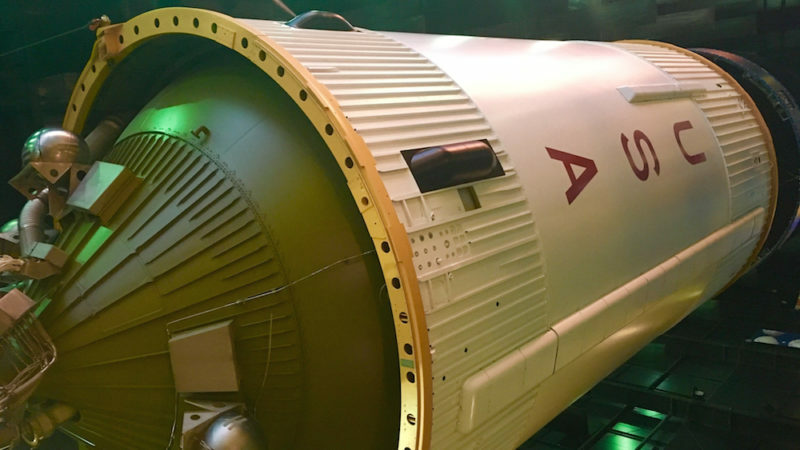 Walk through the Saturn V Hall to see a National Historic Landmark, an original Saturn V rocket. As the heaviest, tallest and most powerful rocket to be used by NASA, it supported the Apollo program to the Moon from 1967 to 1973. The U.S. Space and Rocket Center is located at One Tranquility Base and open 9 a.m. to 5 p.m. everyday. Adult admission is $24 and $16 for students 5 to 12 with kids 4 and under entering for free. During my visit, I took the Marshall Space Flight Center Bus Tour and it tops my list for things to do in Huntsville. It houses NASA’s research and development for many programs including the deep space mission to Mars. A bus tour departs daily from the U.S. Space and Rocket Center for a two-hour guided tour. 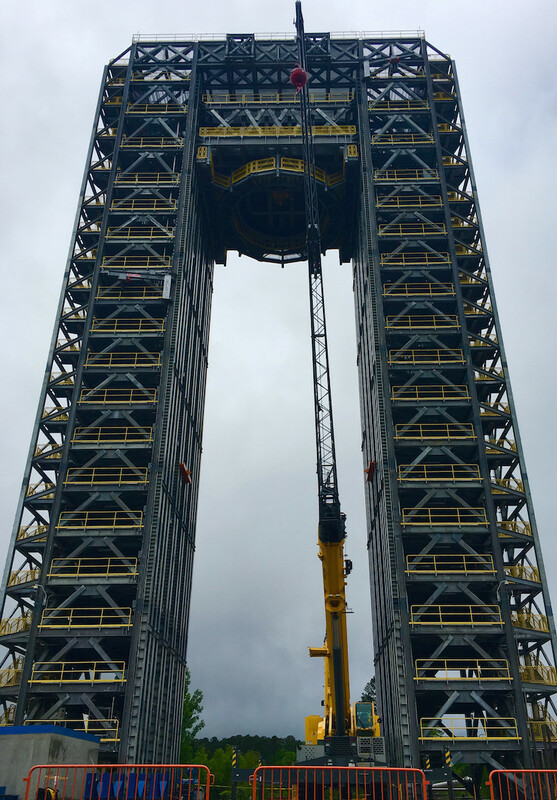 Stops include the National Historic Landmark, the Redstone Test Stand used by the Mercury Rocket, the International Space Station (ISS) payload operations and the Propulsion Research and Development Laboratory. Due to the sensitive nature of the research, the facility remains closed to the public and the guided tour is open to U.S. citizens only. A picture ID is required for all over 16. Tickets are $20 for people over 5-years-old and kids 4 and under are free. Most don’t realize how a quiet corner of northern Alabama played a pivotal role the space race of the 20th century and the future of deep space exploration. During WWII, Huntsville, Alabama, housed three Army arsenals that combined to become the Redstone Arsenal after the war. 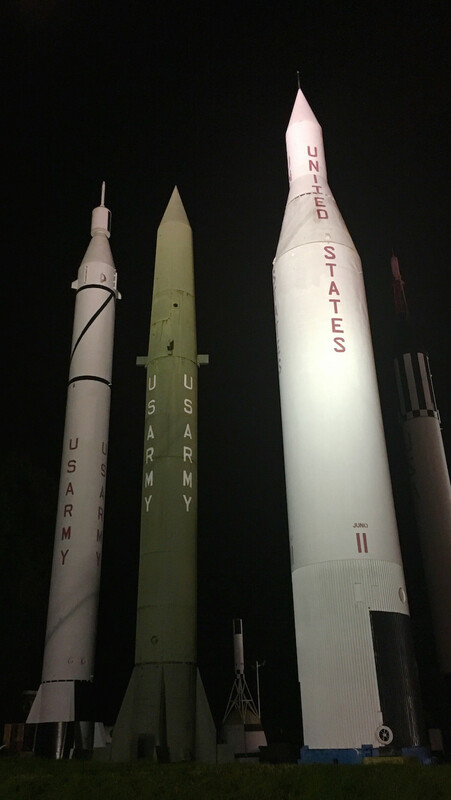 In the 1950s, the Redstone Arsenal became the center of research and development for the Army’s rocket program. Then in 1958, President Eisenhower established NASA then the Army transferred their rocket program to NASA in 1960. The George C. Marshall Space Flight Center developed the Saturn V rocket, worked on the International Space Station and continues to develop the Space Launch System, for the mission to Mars. Space isn’t the only place to discover. I found other things to do in Huntsville. Come back to earth with a hike in the Appalachian Plateau, located about an hour outside of Huntsville. I hiked to some amazing waterfalls at DeSoto State Park and Little River Canyon National Preserve. Retrace the Trail of Tears of the Chickasaw and Cherokee people in Little River too. I also found a Civilian Conservation Corps (CCC) lodge and cabins at DeSoto State Park. Space Camp for students 15 to 18 offers college credit along with a great learning experience. Campers sleep in Space Habitat bays outfitted with at least seven bunks. Bedding is provided for week-long campers though towels are not. I found lockers in each room but pack a lock. Space Camp provides breakfast, lunch and dinner. Most dietary restrictions can be met also. Space Camp accommodates campers with a hearing or visual impairment along with wheelchairs. Uniformed Space Camp staffers meet campers at their gate at the Huntsville International Airport, approximately 10 miles away. Previous Post: « 10 Reasons to Visit Breckenridge Beyond Skiing – in Winter and in Summer!